Yaron has a B.Sc. Agr. degree in soil and water sciences, a M.Sc. degree in seed physiology and a Ph.D. degree in soil and water sciences. Yaron has more than 20 years' experience in the field of vegetables and specializes in soil and water issues, soil-less substrates, seed production, greenhouses and greenhouse technologies. 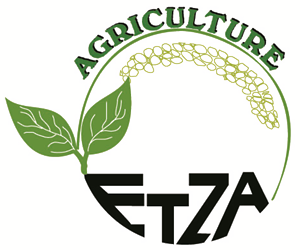 Etza Agriculture is a leading consulting company for vegetable growers in southern Israel.Our services are tailored to support small operations of several hectares, as well as large farms of hundreds of hectares, open fields and greenhouses.Our clients enjoy close, hands-on supervision from the planning, pre-sowing/planting stages through to the final harvest. This approach, together with our comprehensive knowledge of soil issues, irrigation, fertilization, and plant protection, leads to optimal agricultural results.Etza Agriculture’s staff offers unique expertise enhanced by extensive, long-term working relationships with many of the leading seed companies, chemical companies, agricultural high-tech companies and academic institutions.This allows us to provide fast and creative solutions for emerging problems in the field.Etza Agriculture's agronomists also carry out field experiments for the registration of chemical products, and provide consulting services for agricultural projects in Israel and worldwide.